The genus Loxa has two species in North America. 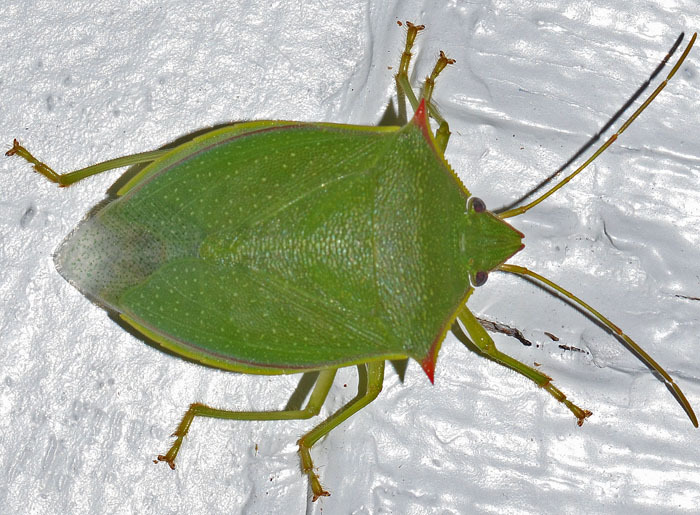 They differ from other green stinkbugs by the spined sides of the pronotum and the serrated side margin in front of them. If it is true that L. flavicollis has a pale head, then this specimen would be L. viridis.